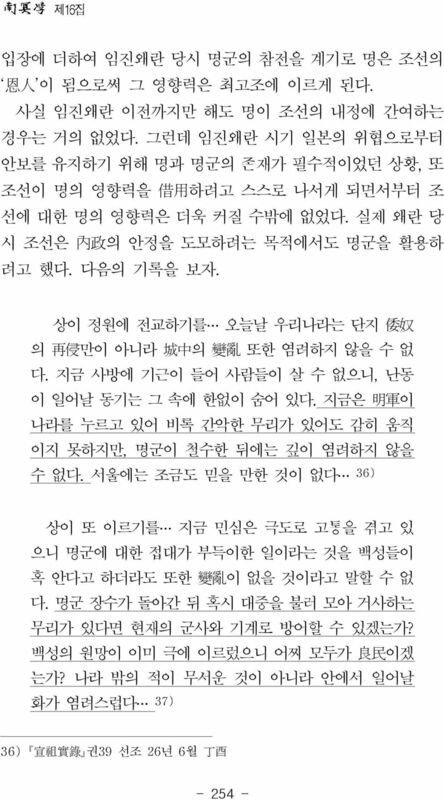 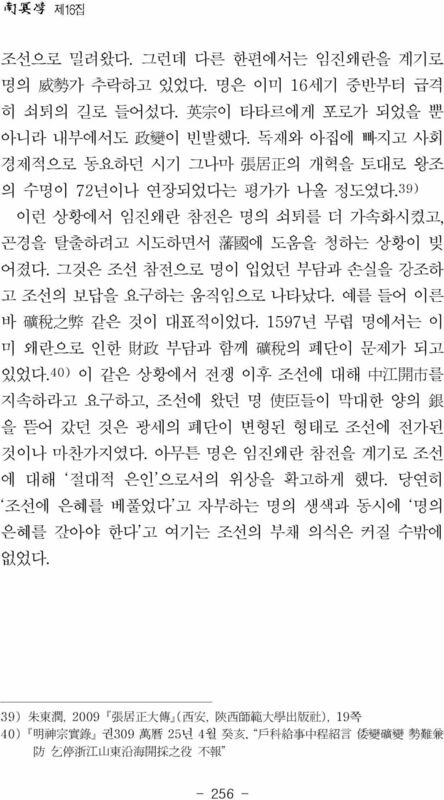 Download "잡았다. 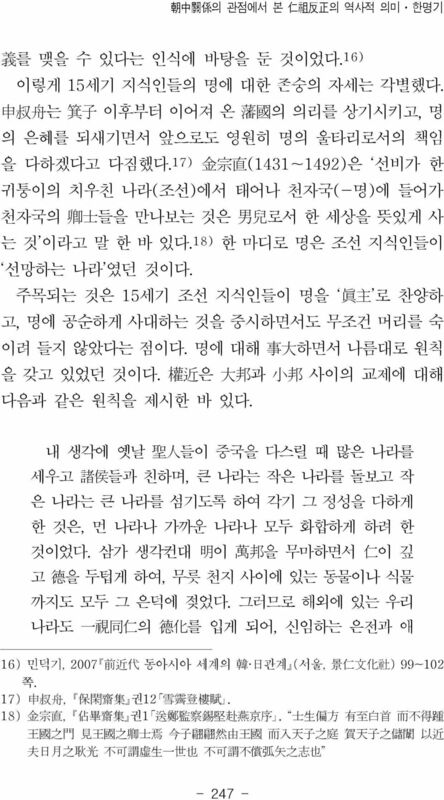 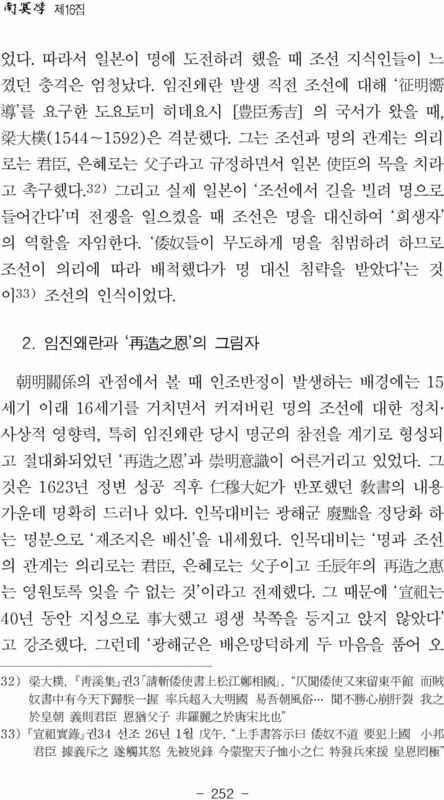 임진왜란으로 권위가 실추되었던 선조는 명군의 존재를 구세 주 이자 王權을 지켜주는 보호자 로 인식했다. 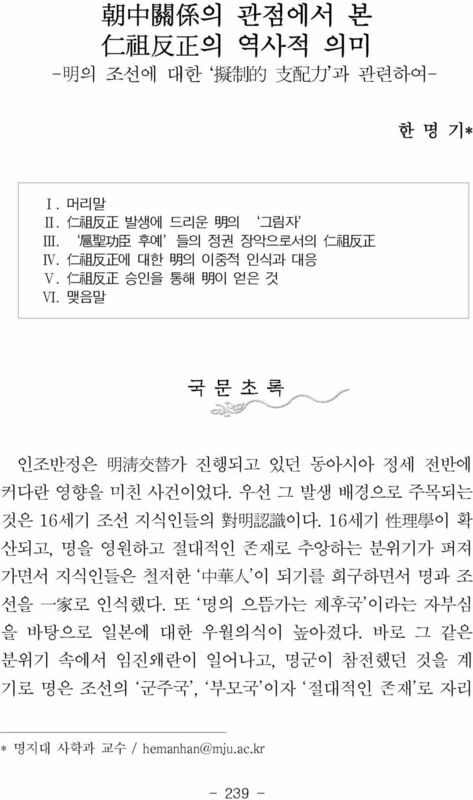 선조는 그 같은 인 식을 바탕으로 扈聖功臣들을 높이 평가하고 宣武功臣들을 평가 절하함으로써 자신의 권위를 유지하려고 했다. 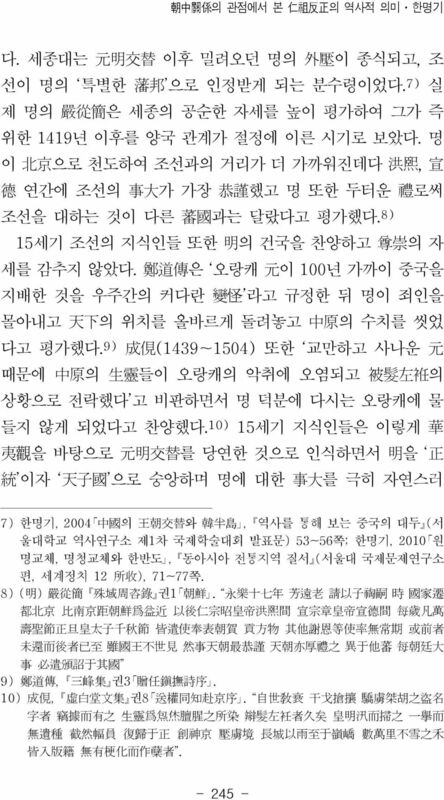 이제 명에 대한 숭 앙과 충성은 "
41 said that his evacuation from Seoul to far north western city of Euiju was crucial and strategic action to lead Ming army into Chosun Korea. 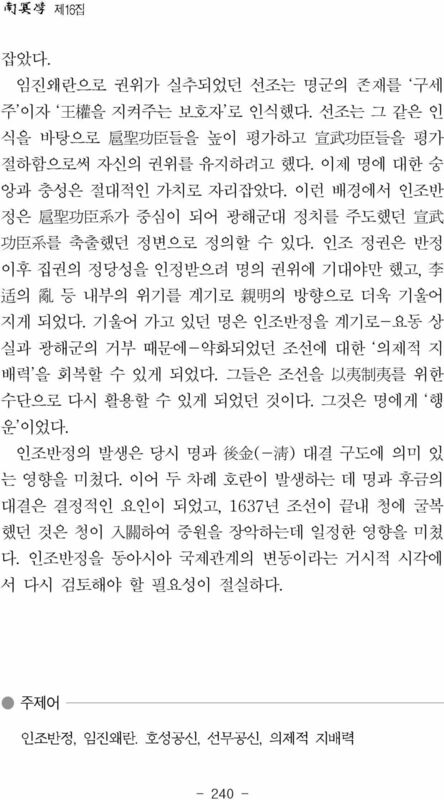 After Imjin War, faced with Manchu's military threat, Ming forced Chosun Korea to send troops and contend with Manchu. 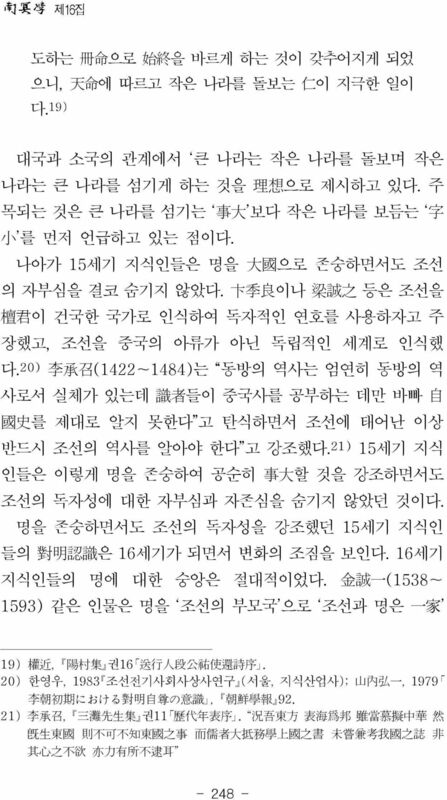 King Gwanghaegun tried to refuse Ming's request, and which abused as cause for his political opponents as Injo to usurp his throne in It is very interesting that the majority of usurpation leaders were the successors of the "Hoseonggongsin" Lee Hang-Bok. 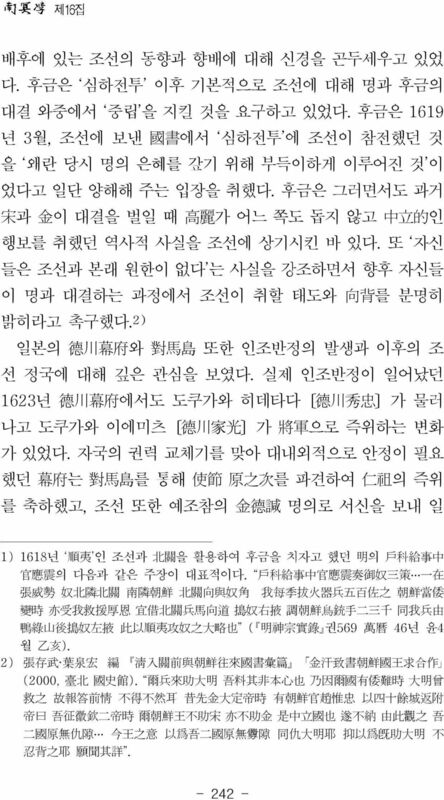 At first, Ming did not accept the legitimacy of Injo, and some hard-liners demanded that Ming should punish the leading power of the coup. 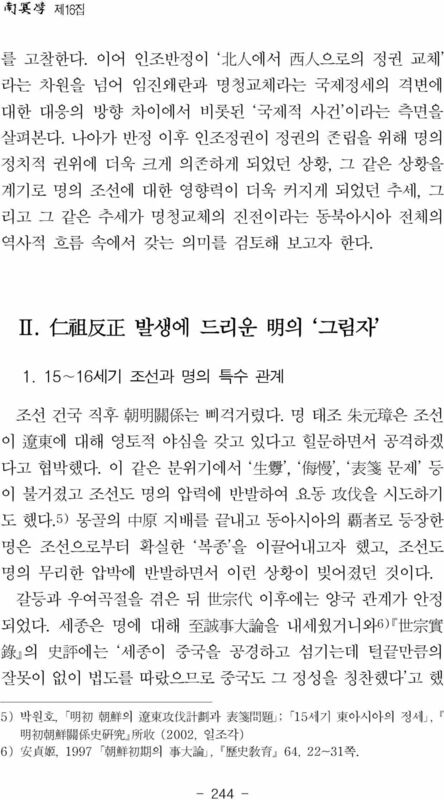 As time went on, however, some proposed the need to appease Chosun, considering Manchu's military threat. 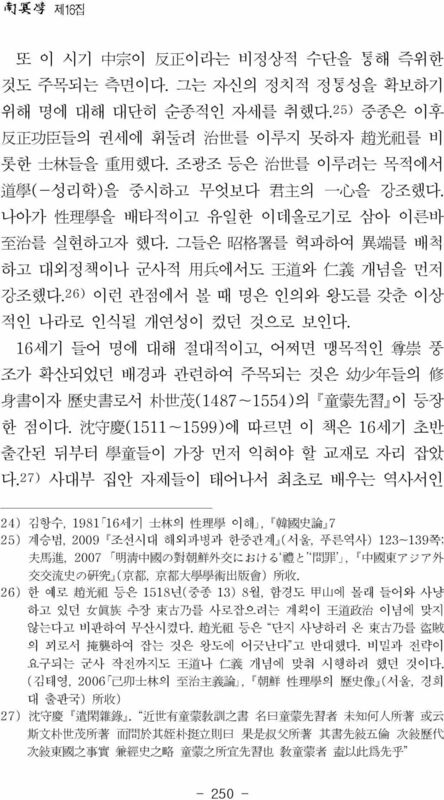 After all Ming made up her mind to approve the enthronement of King Injo and utilize Chosun Korea. 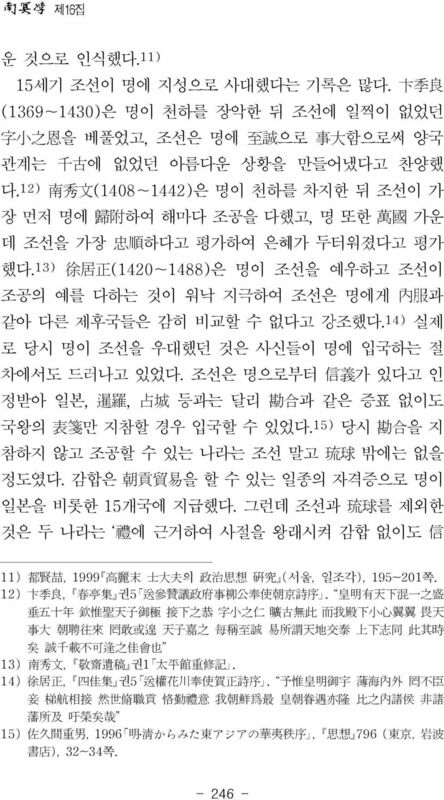 In conclusion, 'Injo Banjeong' must be restudied in relation to the shift from Ming to Qing in broader East Asian perspectives. 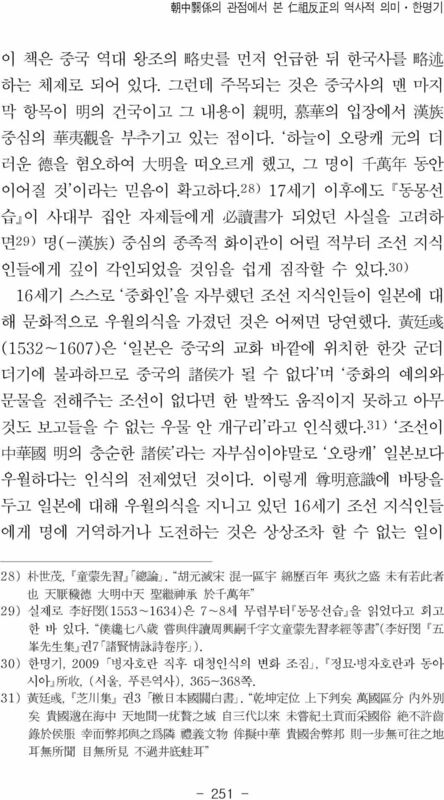 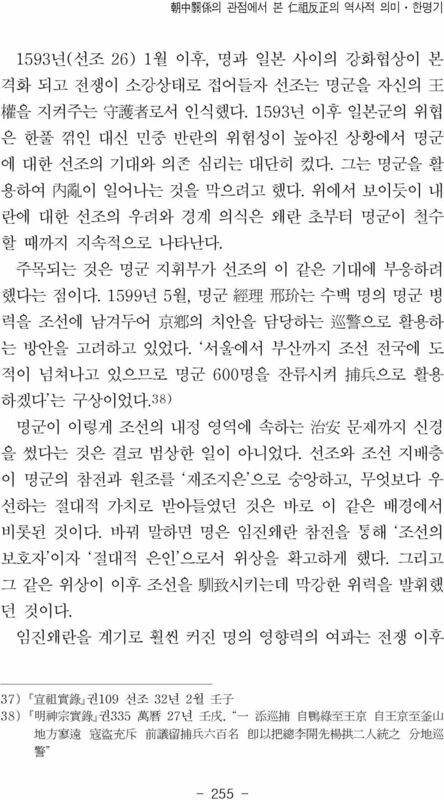 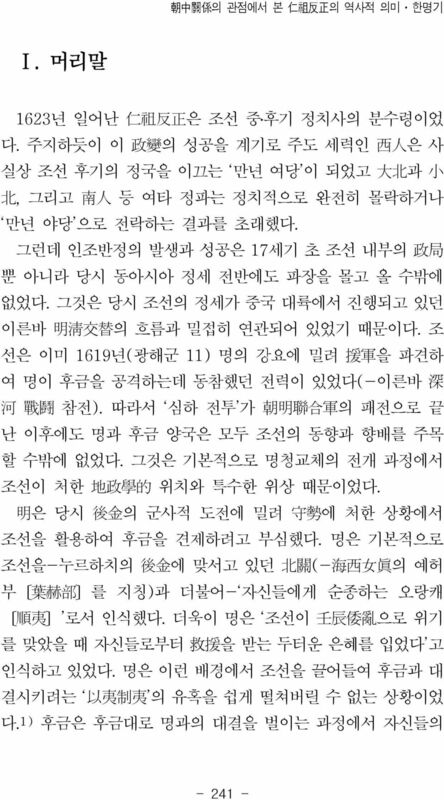 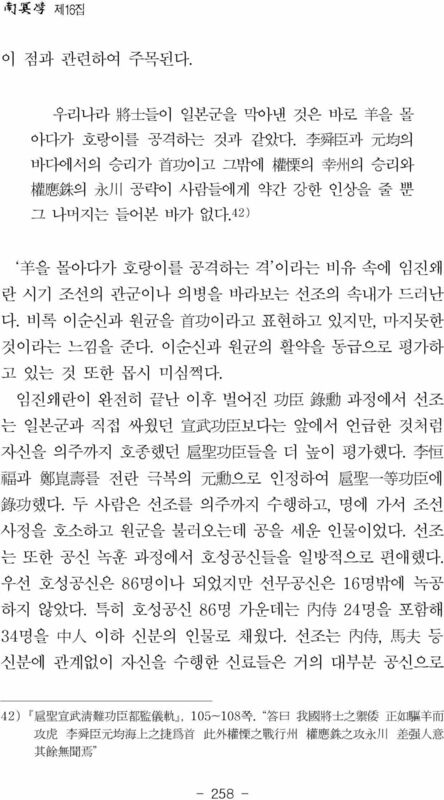 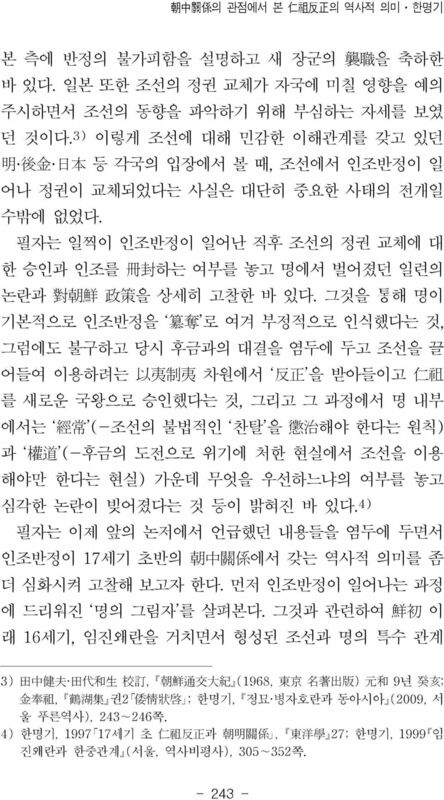 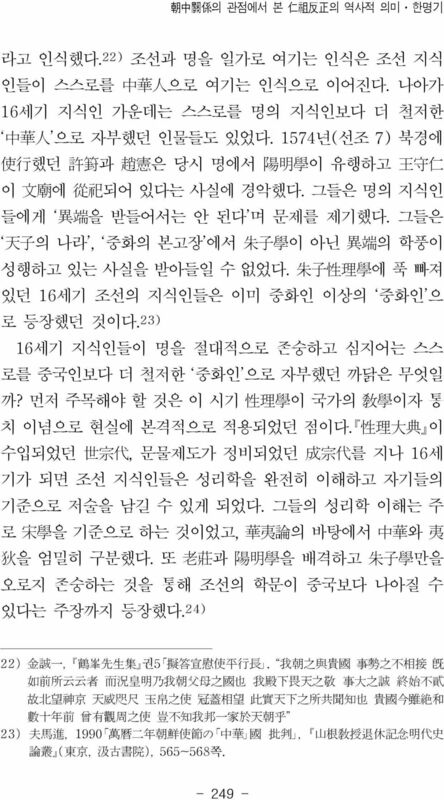 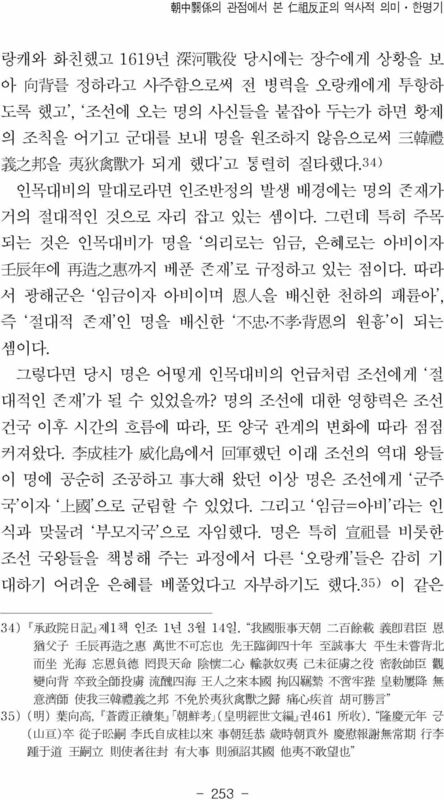 Key words 'Injo Banjeong', the shift from Ming to Qing, the Imjin War, "Hoseonggongsin(扈聖功臣)", "Seonmugongsin(宣武功臣)"